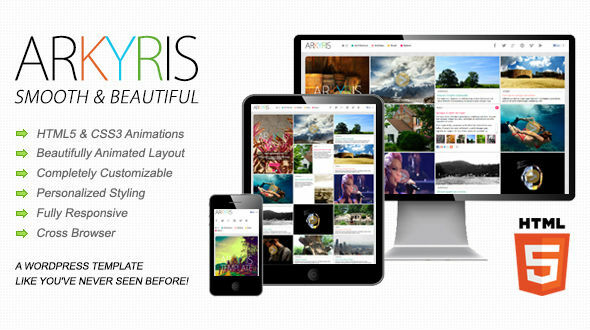 Arkyris WordPress theme is a simple, smooth and fluid animated layout template built with HTML5 and CSS3 animations. It’s a single page, multi-purpose theme that you can use for any type of business and completely adapt it to your own style and unique website. With a complete and easy to use admin panel in wich you can customize almost everything in this theme and the ability to have several post formats like images and videos, you can create a unique website that is completely diferent from all others, even when using the same template.